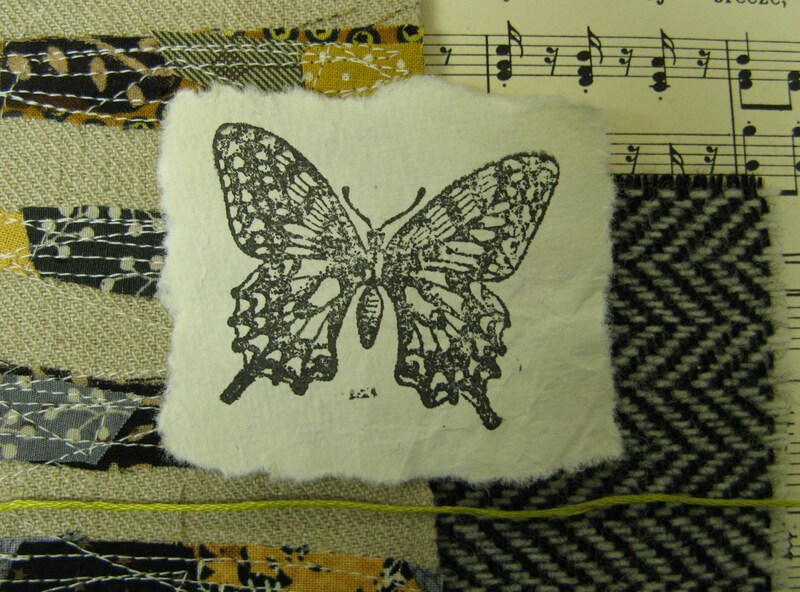 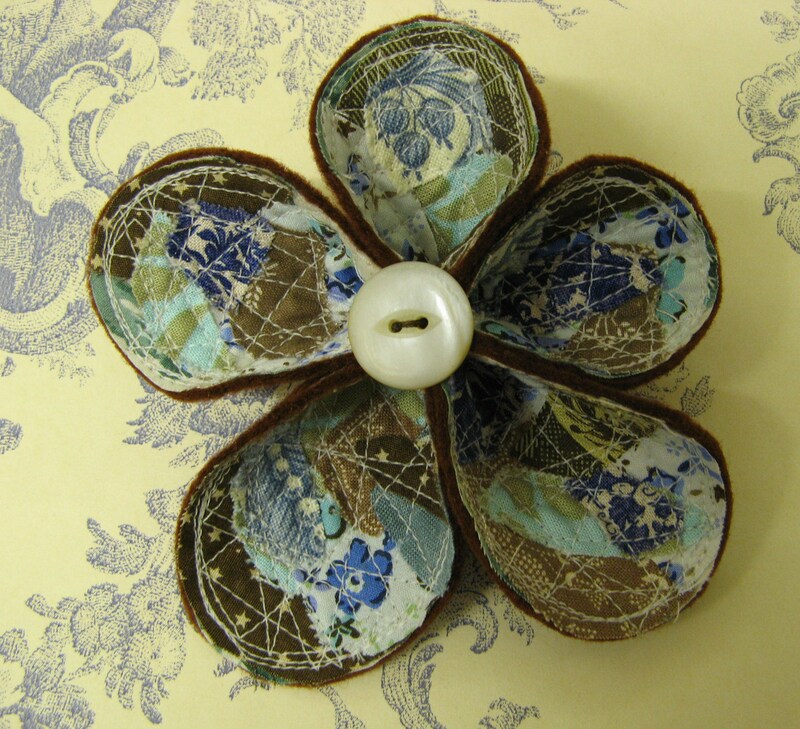 At last… I`ve finally emerged into the 21st century craft world and opened my online shop! 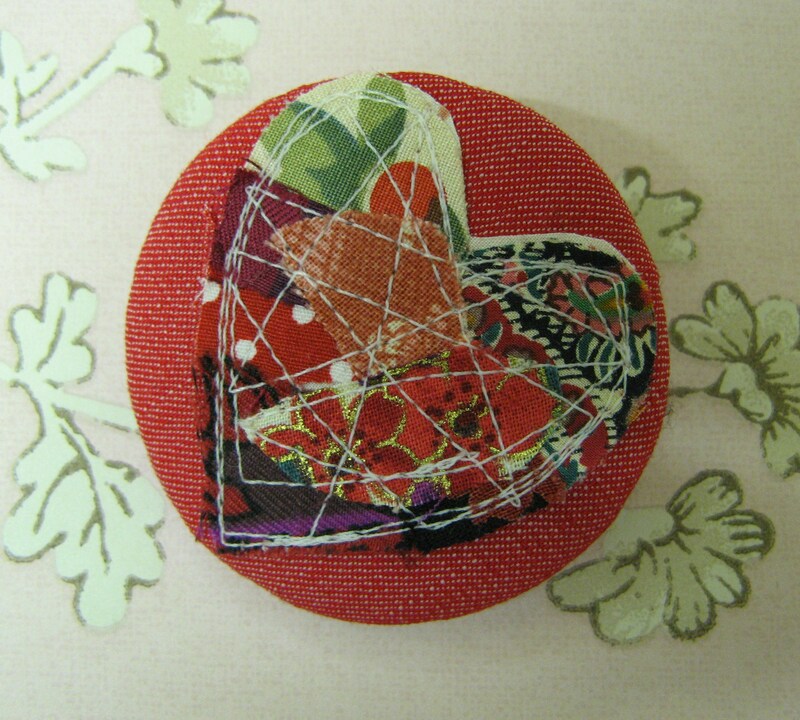 I struggle with all things computery but the lovely people at Etsy make it all very easy. 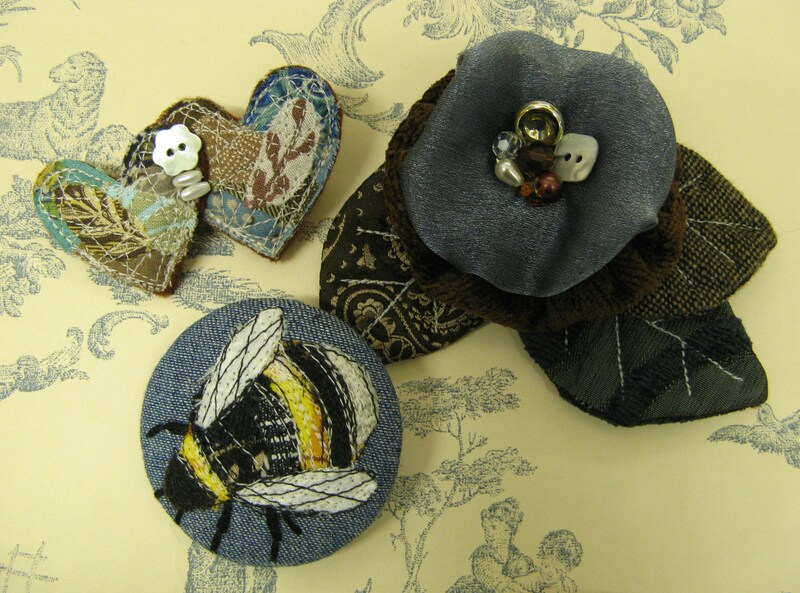 So now when you click on my shop page (instead of just getting ‘coming soon’, which was there much longer than I intended!) 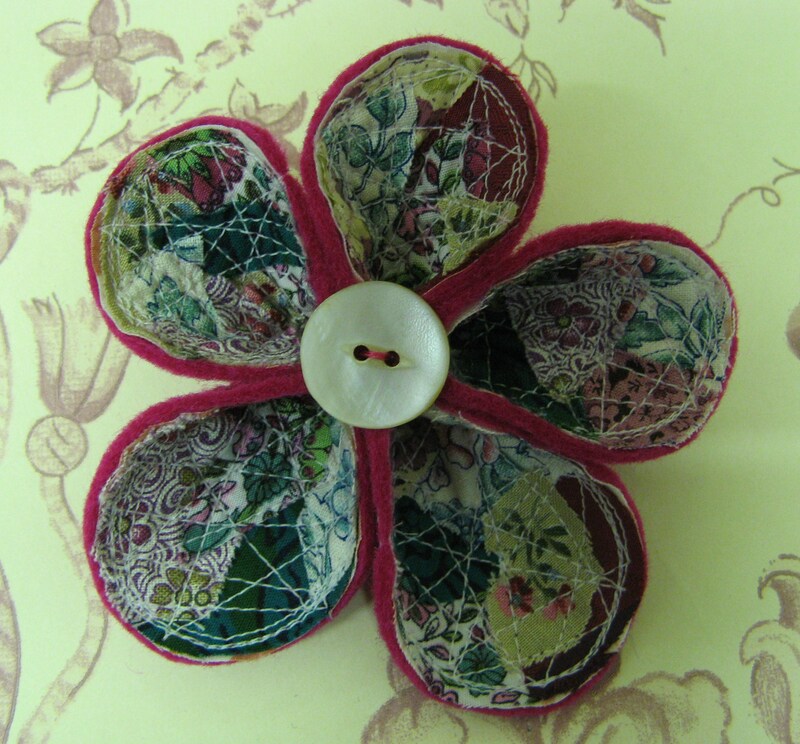 you can follow the link to my Etsy shop. 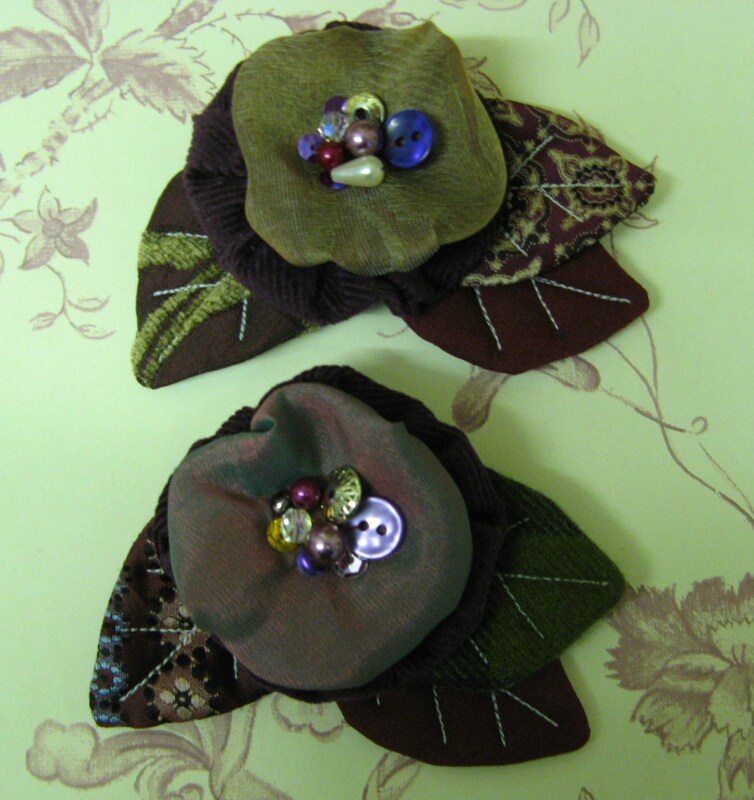 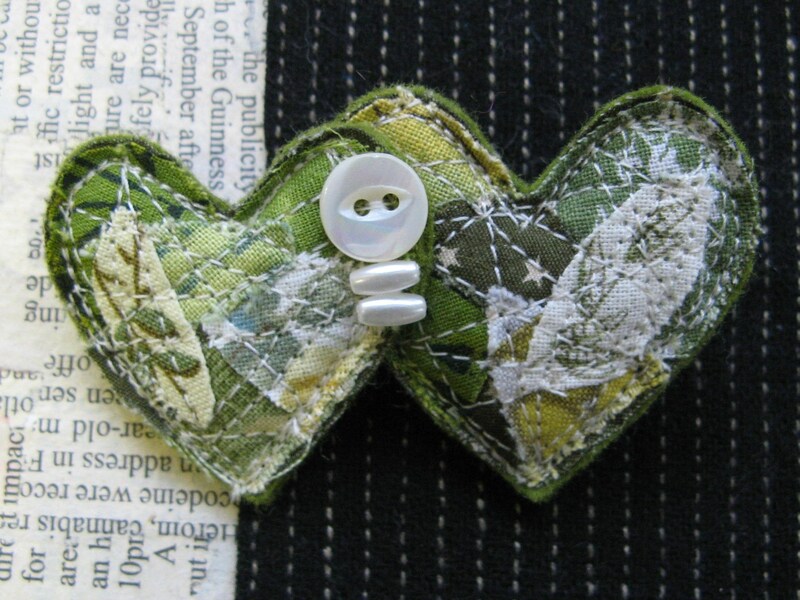 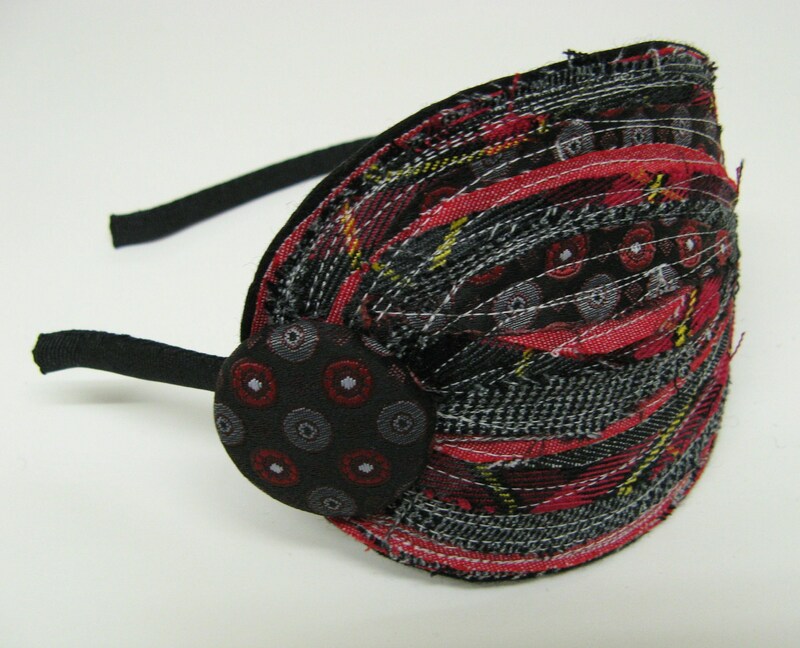 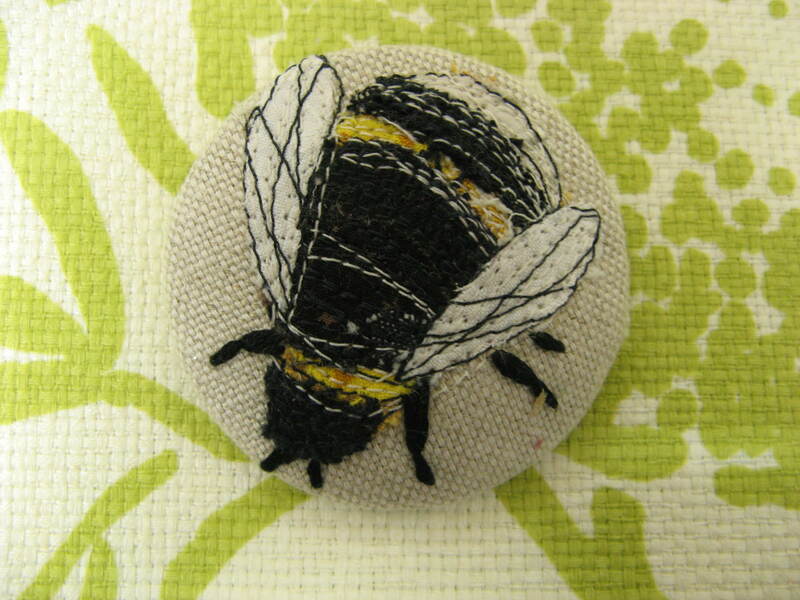 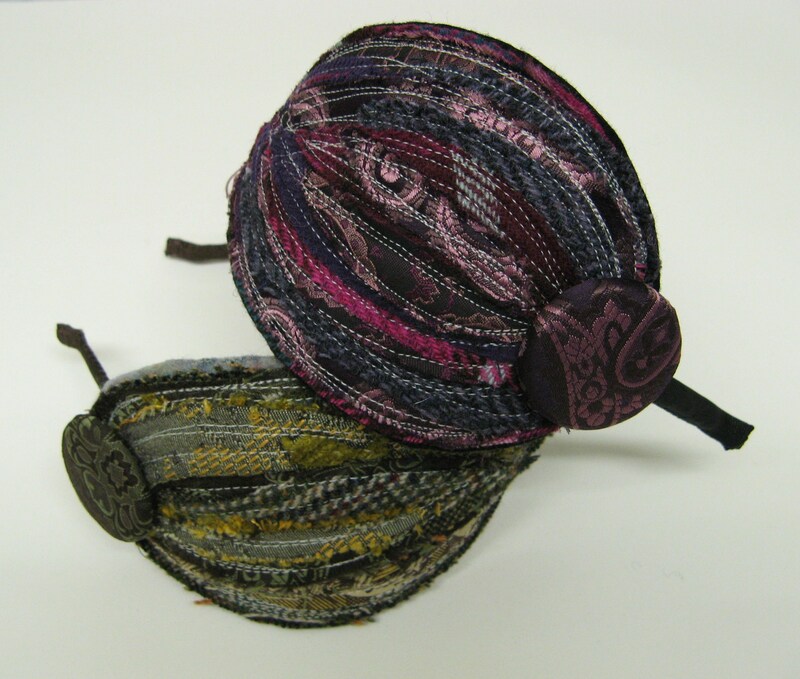 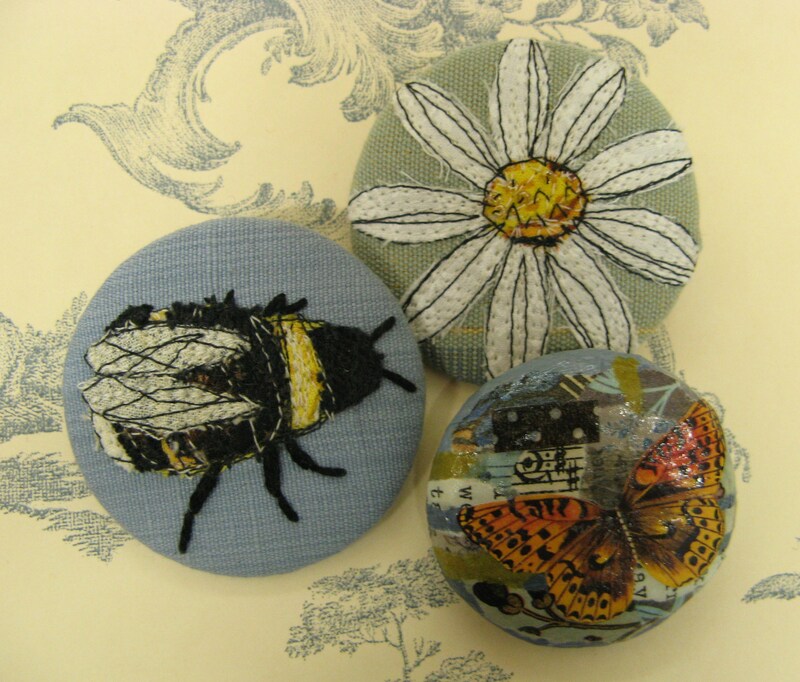 I`ve listed a selection of brooches and some recycled fabric hairbands to begin with, and I`ll be adding a few pieces every week. 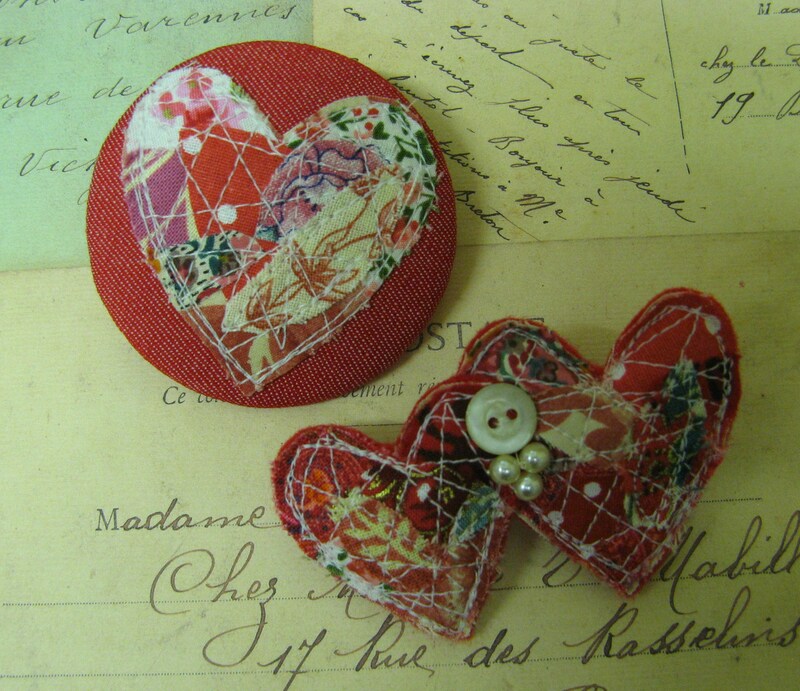 I`m looking forward to making some one-off pieces to sell online too, plus some larger items. 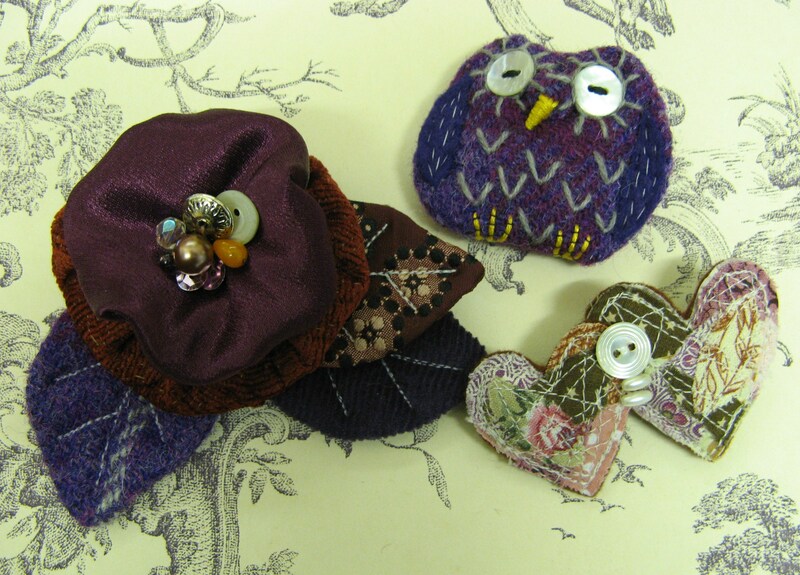 These brooches and hairbands are all available now. 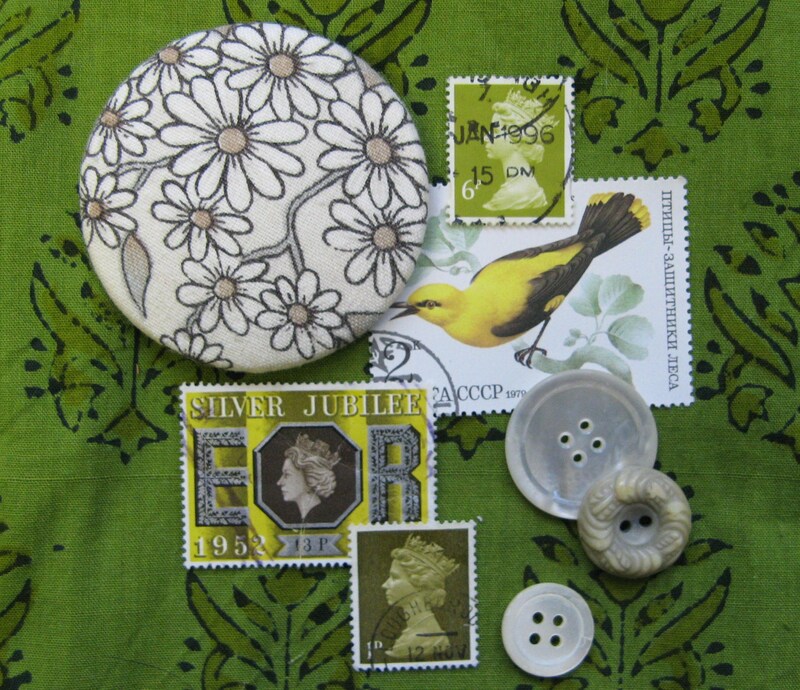 Black, Ecru and Spring Green. 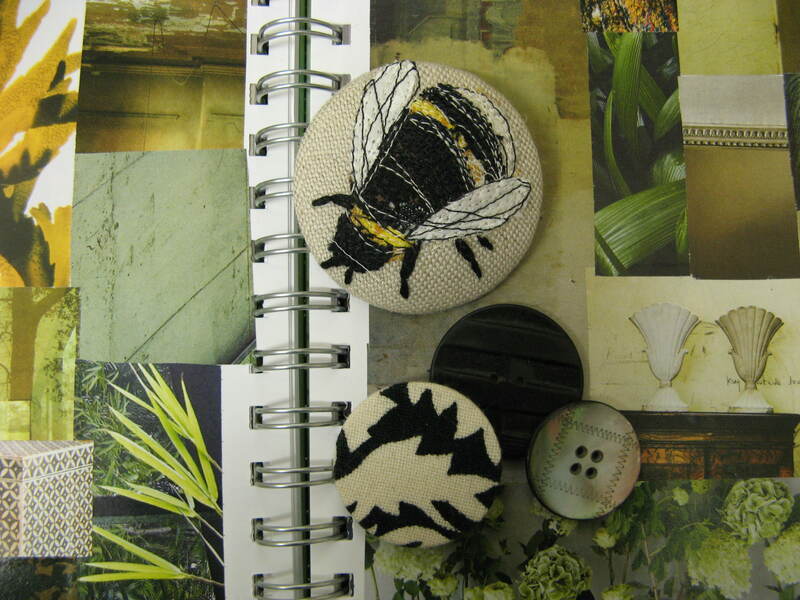 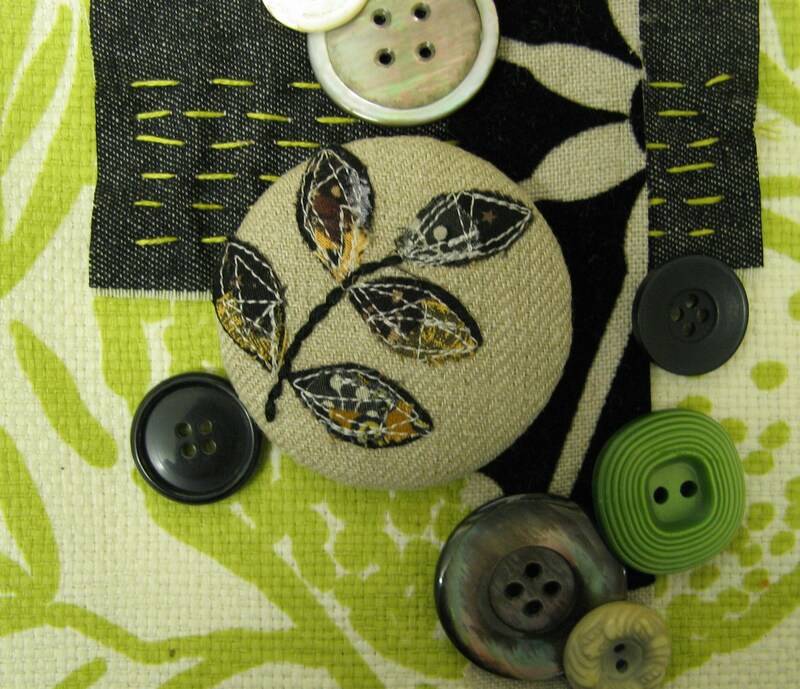 This week I`ve been inspired by the colour combination of black, ecru and spring green. 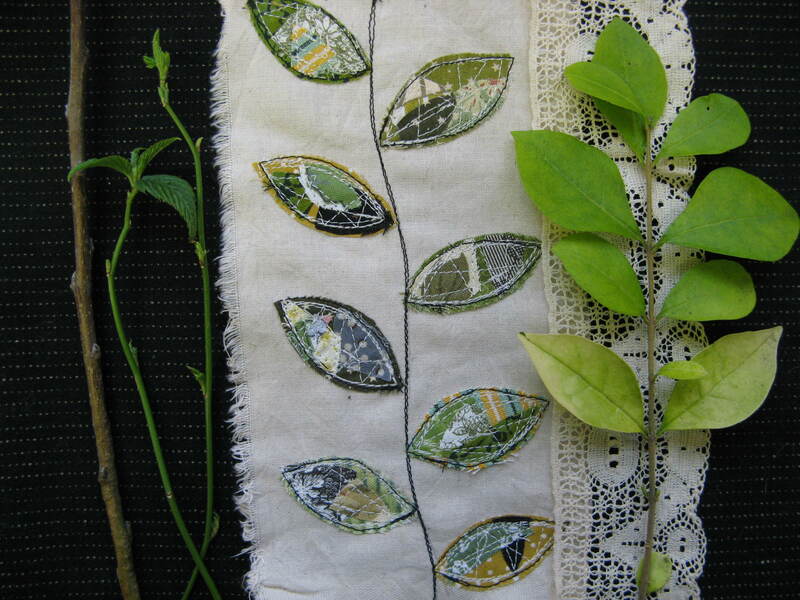 I was given some furnishing fabric remnants in these colours recently and they seemed to fit perfectly with this time of year- they reminded me of new buds on bare branches and fresh green shoots sprouting out of black soil. 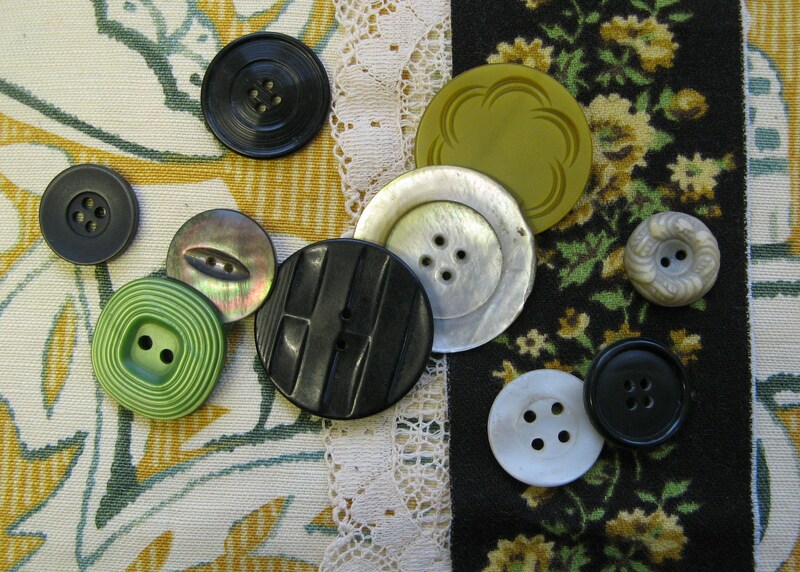 I`m going to make up a nice big mood board and let this fresh, classic palette influence my work over the next week or two. 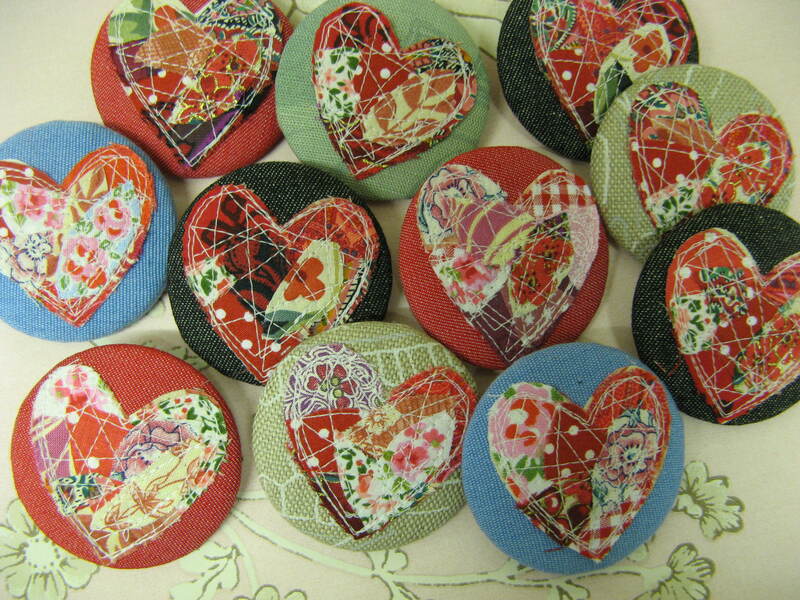 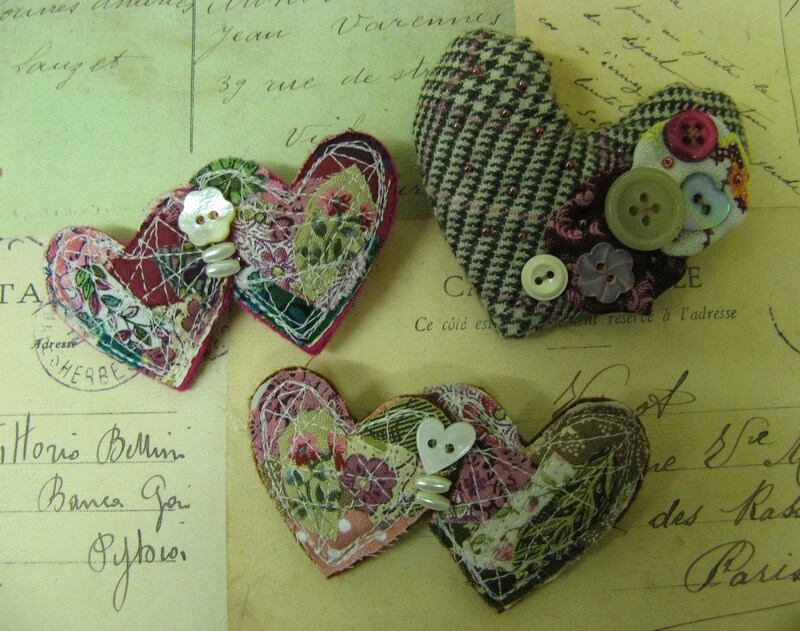 During the past few weeks, I`ve been busy making lots of Valentine`s and Mothers` day brooches for my stockists. 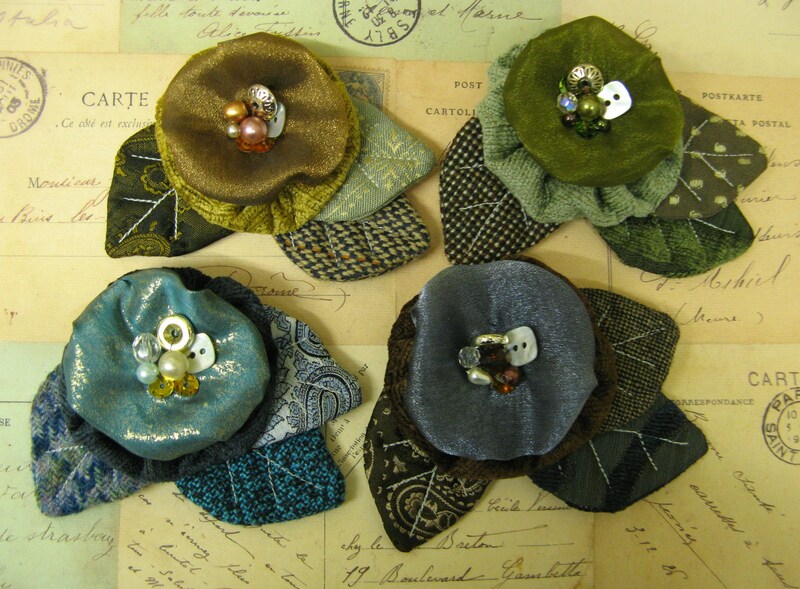 They all needed a good topping up after Christmas and I enjoyed making some pretty brooches that look forward to Spring. 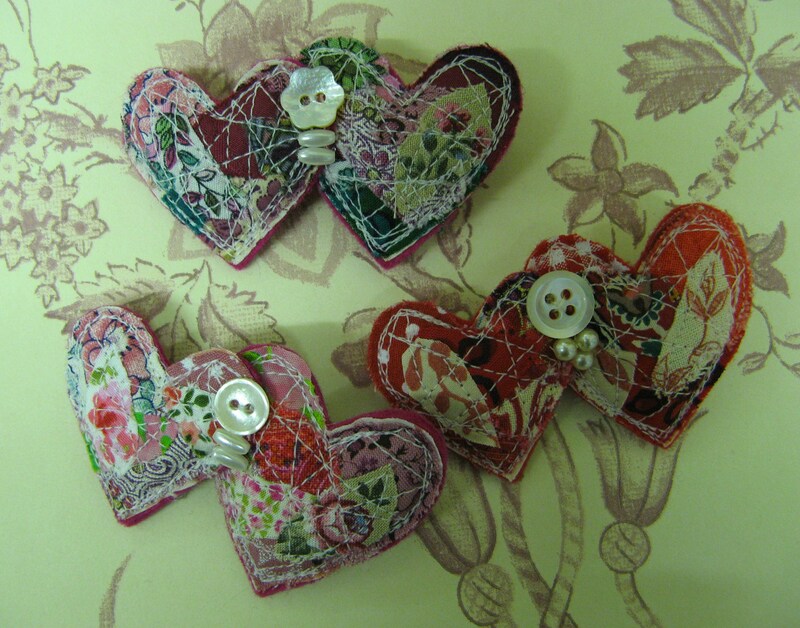 Hearts galore for Valentine`s day! 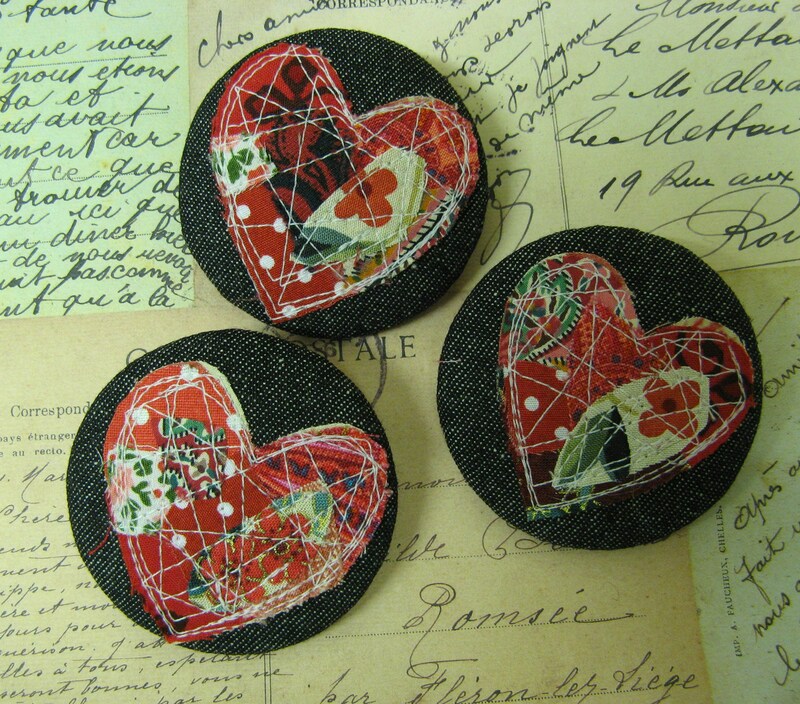 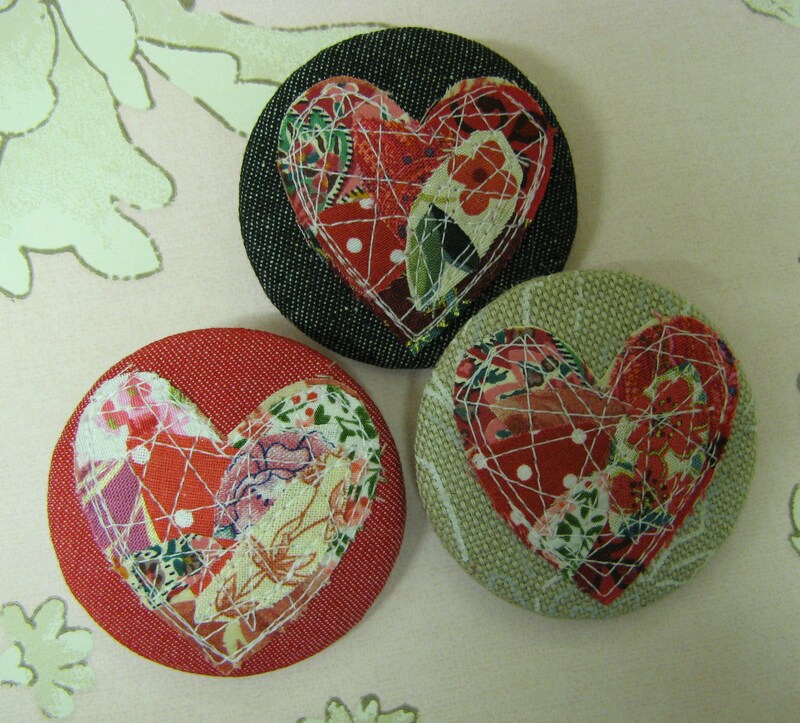 These round heart brooches are new. 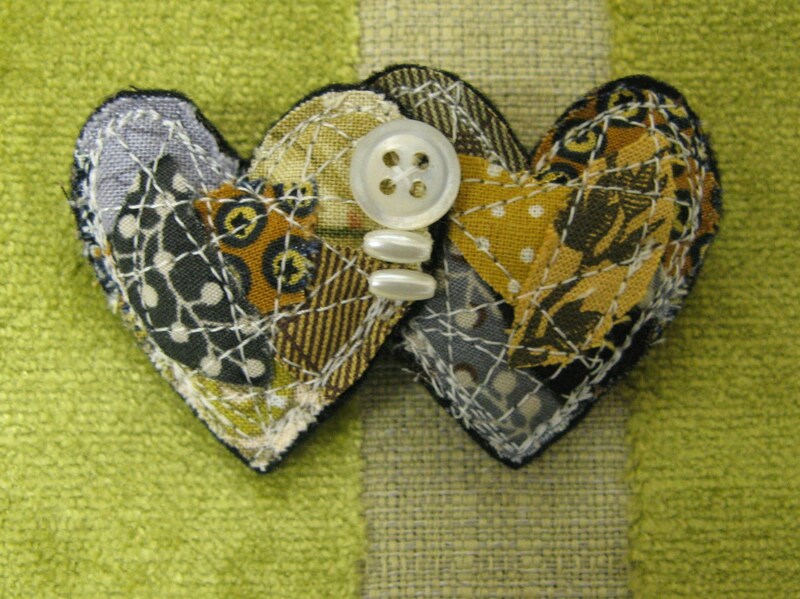 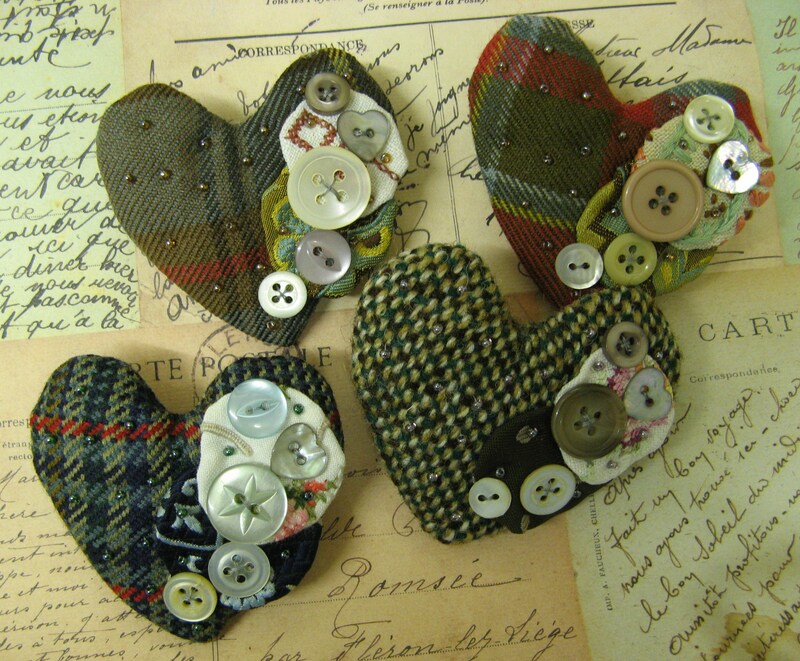 More little stitched hearts and tweed hearts. 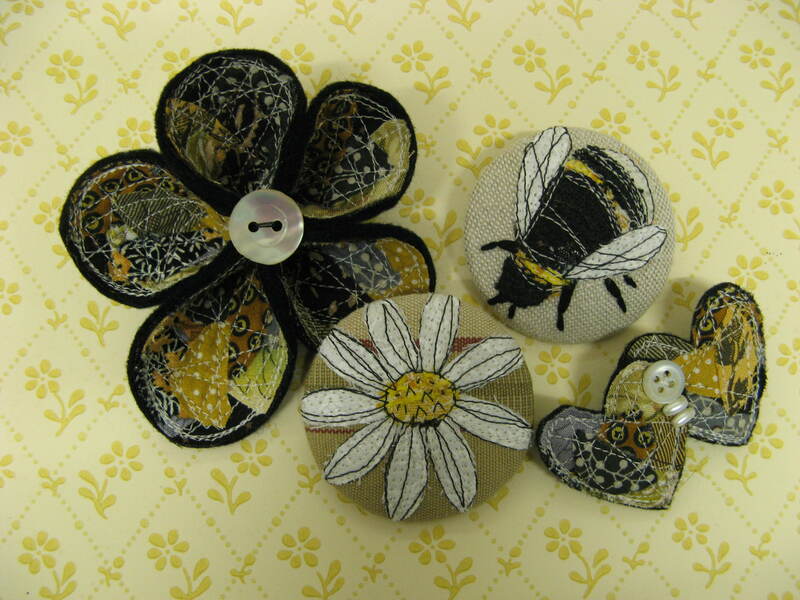 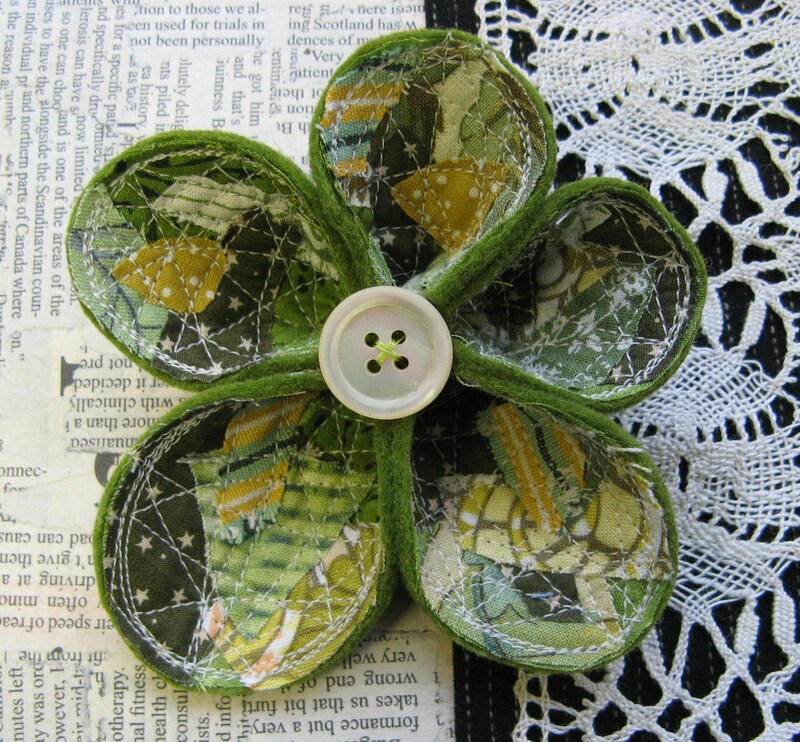 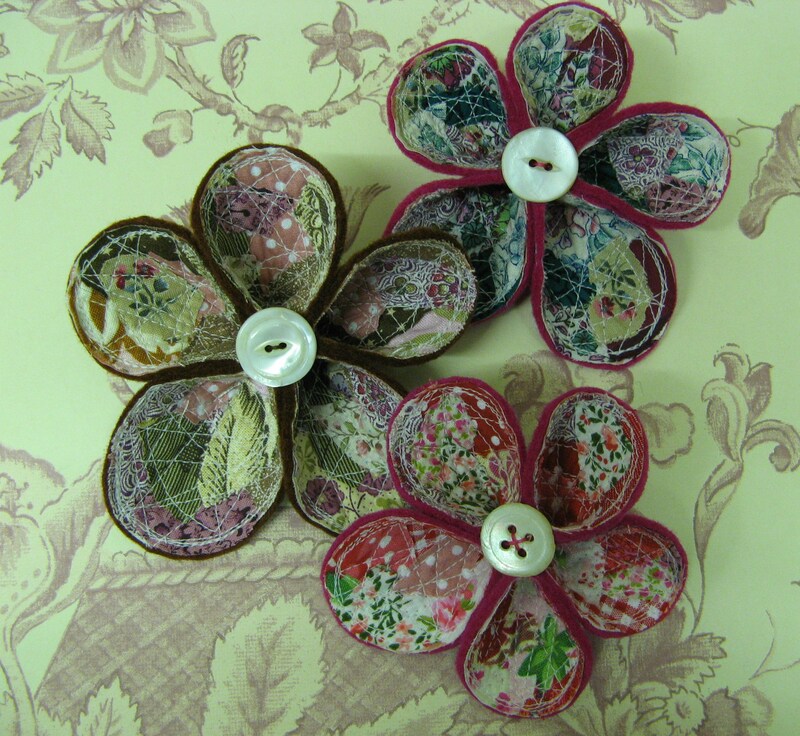 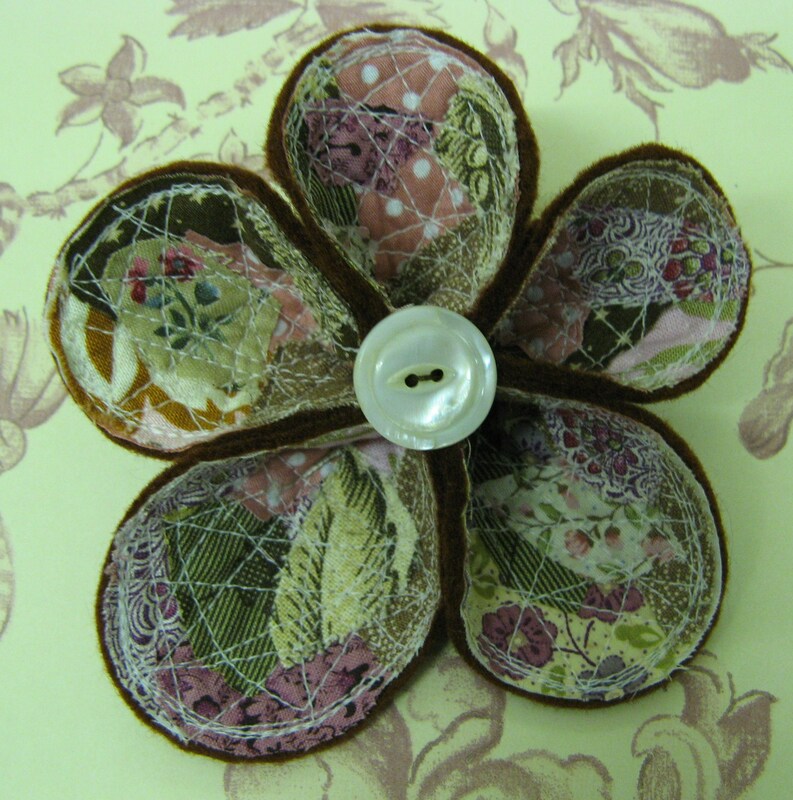 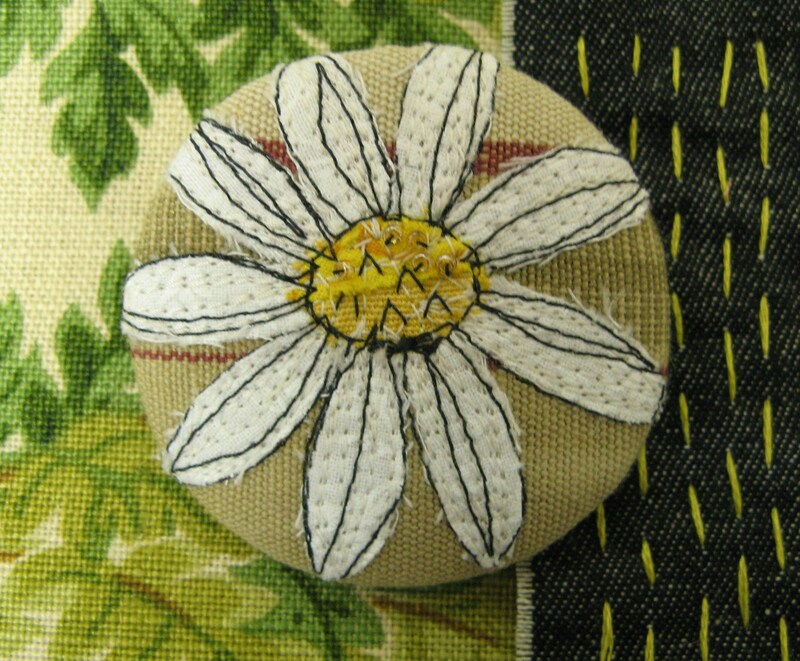 Some more stitched flowers, pretty for Spring and perfect for Mothers` day. 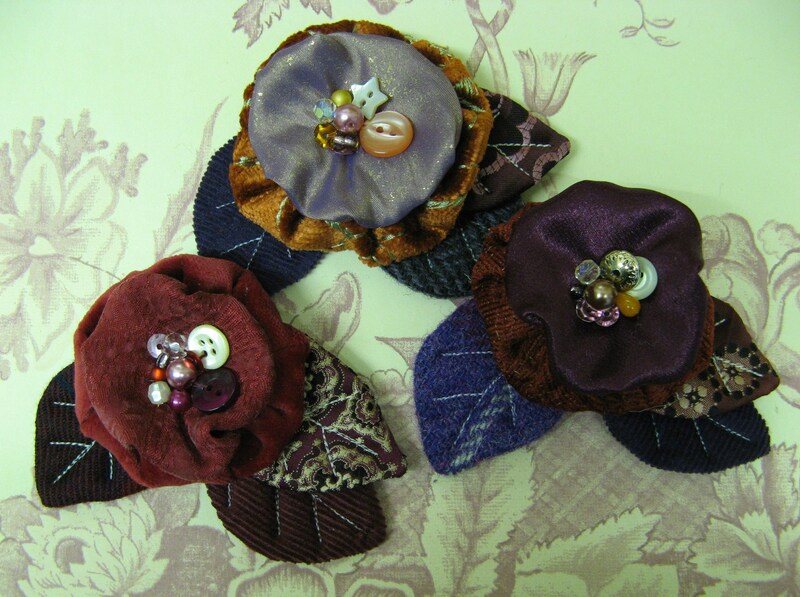 Another batch of layered corsages. 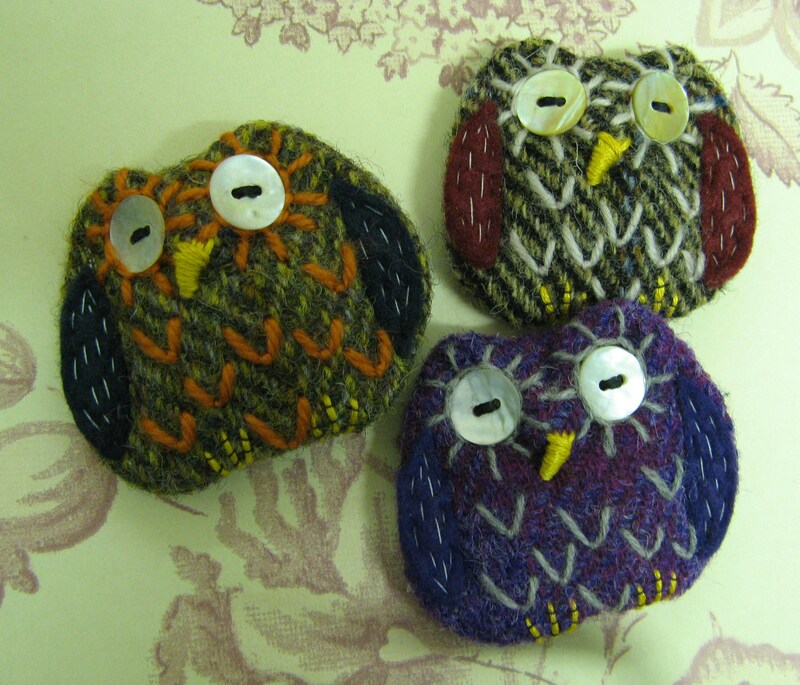 I`m so pleased that these are selling really well. 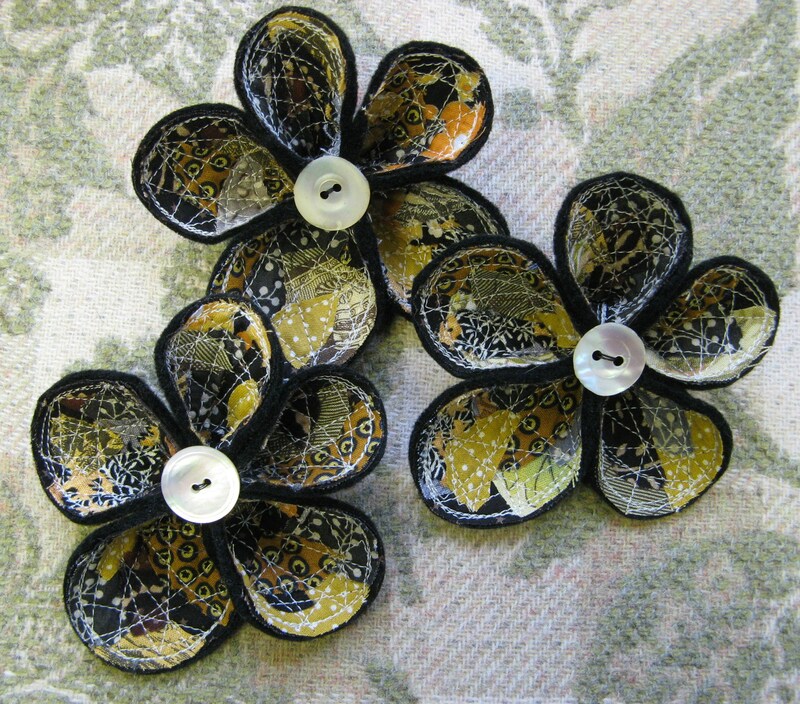 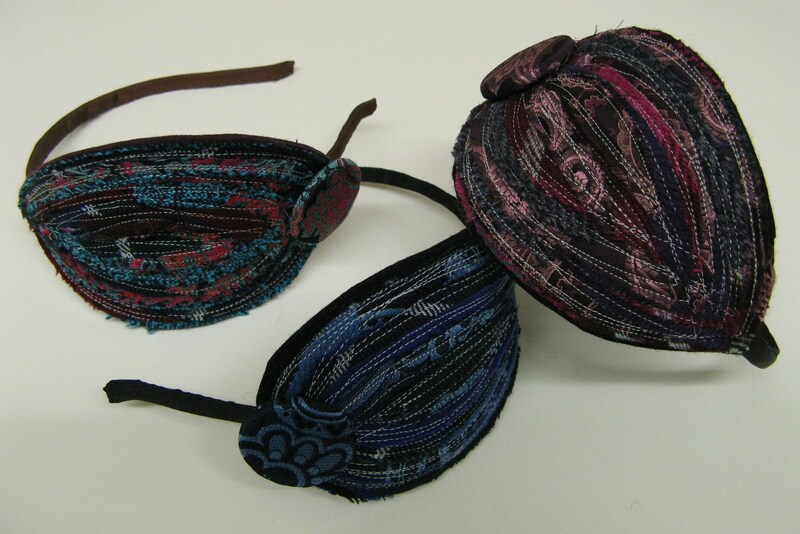 They`re my favourites at the moment, I`ve been wearing one almost every day! 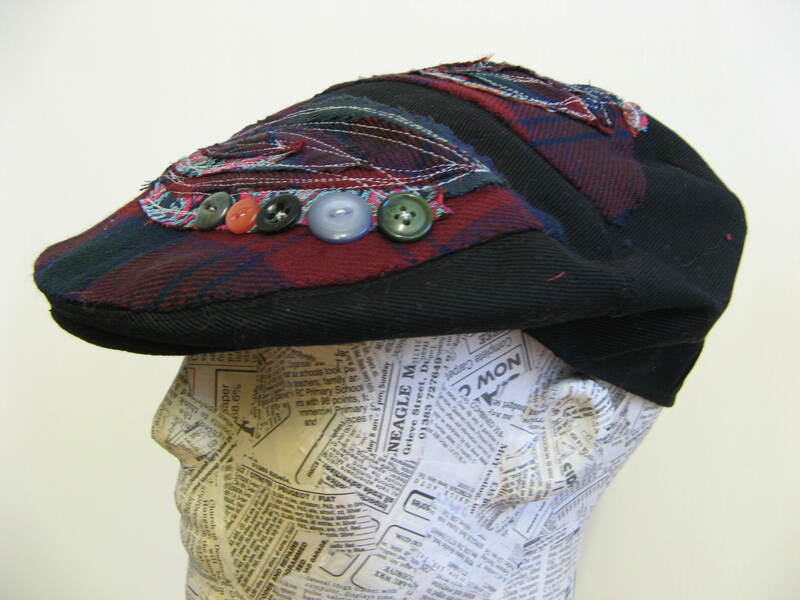 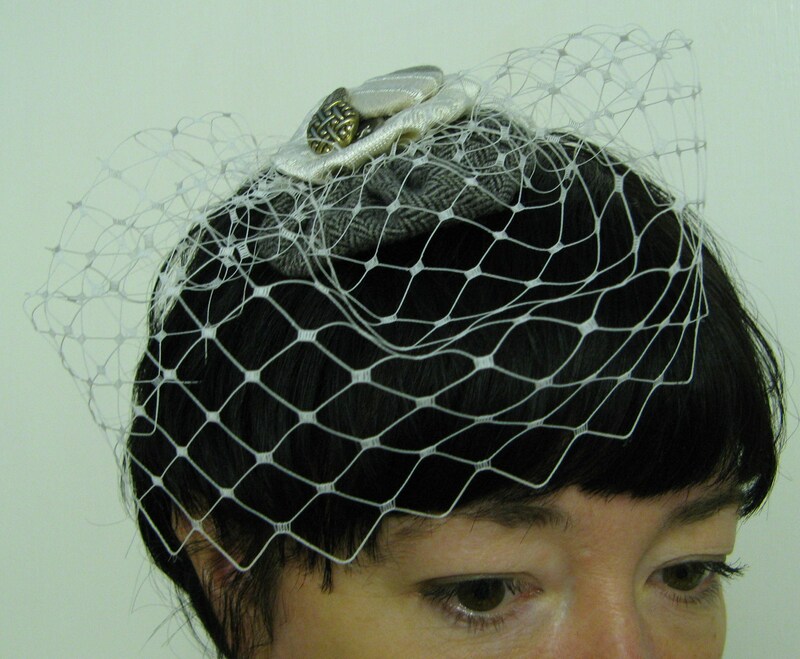 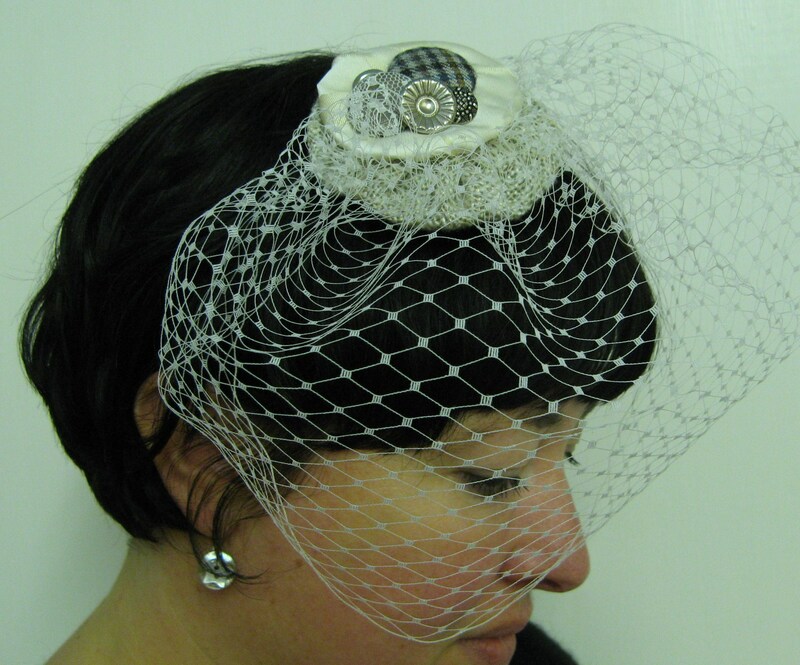 I also had a couple of commissions last month, for a wedding fascinator and a Jaunty Jim cap. 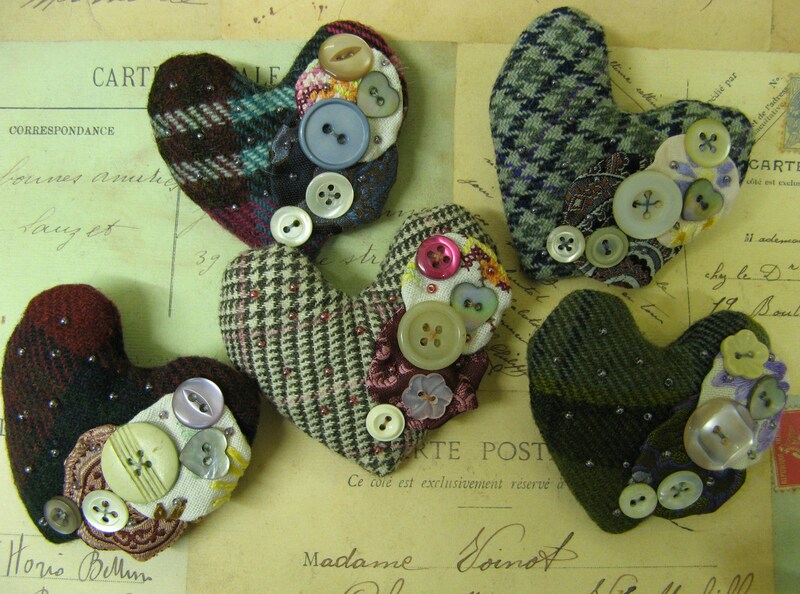 These were people who had found me online and it has made me determined to get on with my online shop. 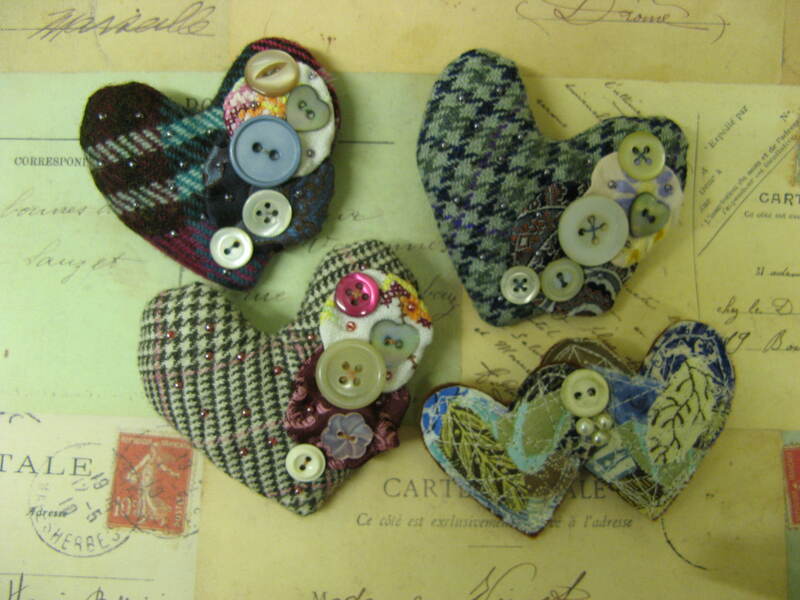 Now that my stockists are topped up it will be my next plan of action!